A stock aircraft called CF-23. 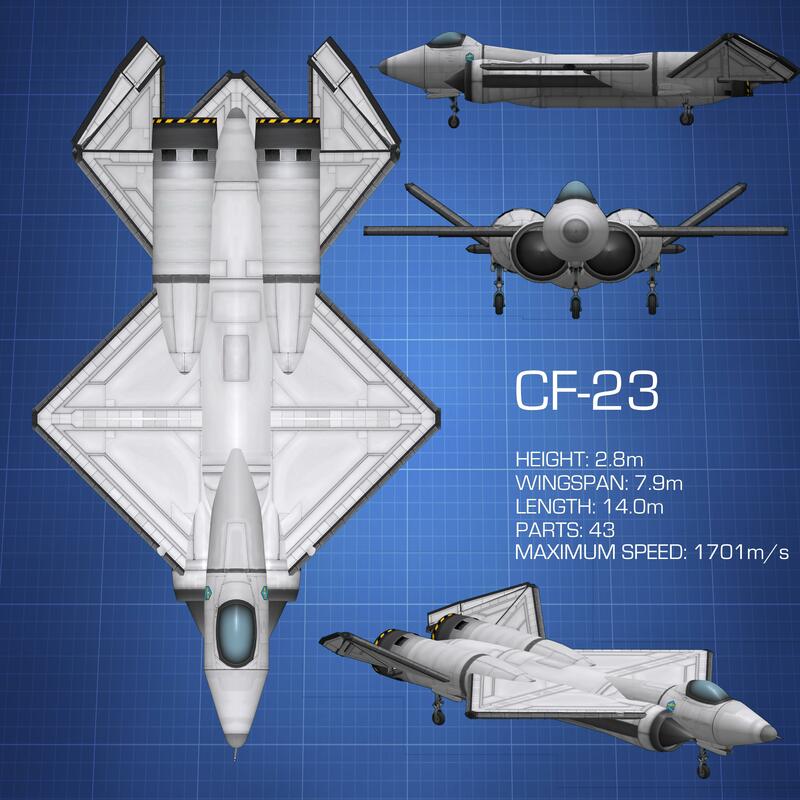 Built with 43 of the finest parts, the CF-23 is obviously based on the YF-23, a prototype competitor to the (now known as) F-22. 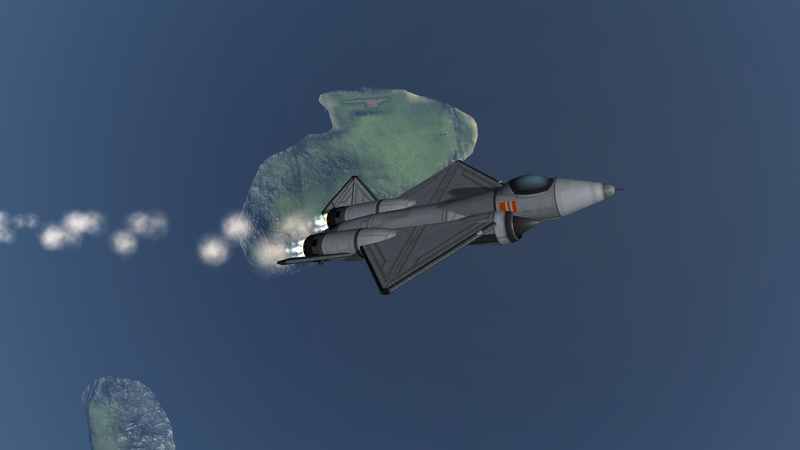 It is a very fun plane to fly, reaches high speeds, and has a very low stall speed. For the first few minutes of flight, this craft is unstable! Do not make any hard maneuvers while flying at high speed, again, for the first few minutes, or else you might find yourself going at a fraction of your original speed with an unconscious pilot. The learning curve on this plane is high, but it’s worth it! The aircraft is engineered to eventually become nose-heavy to improve stability. The oxidizer is acting as ballast. WARNING: EXTREMELY UNSTABLE FOR FIRST MINUTES OF FLIGHT! READ DESCRIPTION!